fOur technicians specialize in providing solutions to any problem your gate opener may experience, from malfunctioning circuit boards to broken drive gears. Whatever the case may be, our team is ready to get your system working again quickly. With over a decade of experience in the industry, our technicians can guarantee high-quality solutions no matter what the problem is. 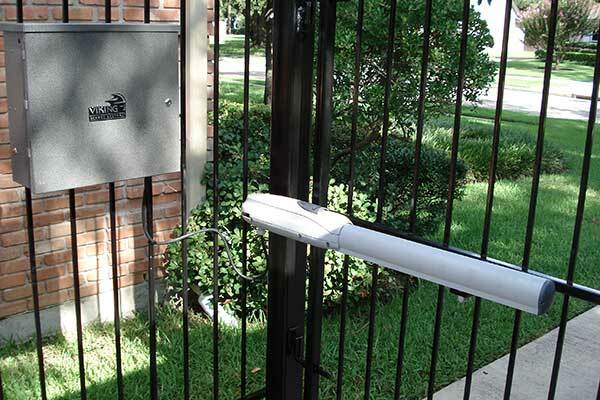 There are a huge number of different gate systems in use today, and there's a wide range of different openers that help automate them. As is often the case with such a wide variety of choices, some models are likely to be more suitable than others, especially once various factors are taken into account. From above ground articulated arm units to underground gate openers and ones that use telescopic rams and hydraulic force to move – the options are quite diverse. Our team can help you find the right opener for your system, whether you have a sliding-type system, a swinging one, or a cantilever gate system. Our company works with brand name units such as Elite, Eagle and Doorking, so you can rest assured any product we offer is state of the art. 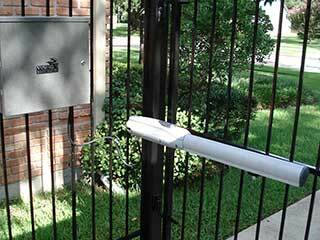 The type of gate opener you have will determine what kind of problems you can expect to have to deal with. Electromechanical units will be liable to fail due to reasons that hydraulic gate openers won't be vulnerable to, and vice versa. Sometimes a simple fix can be enough to get the unit working again, while other times more complex repairs will be in order. Whatever the case may be, and however complex the problem seems, you can always count on our technicians to troubleshoot the opener and quickly find and fix the issue. The best gate repair experts in Malibu are just a phone call away. Don't hesitate to get in touch with us whenever you encounter any type of problem. Remember, fixing openers isn't all our experts do. We also install them! Let us help you make an informed decision by providing all the information you need to do it.